Another exotic looking casino with some superb features and an impressive array of games is the Golden Tiger casino. 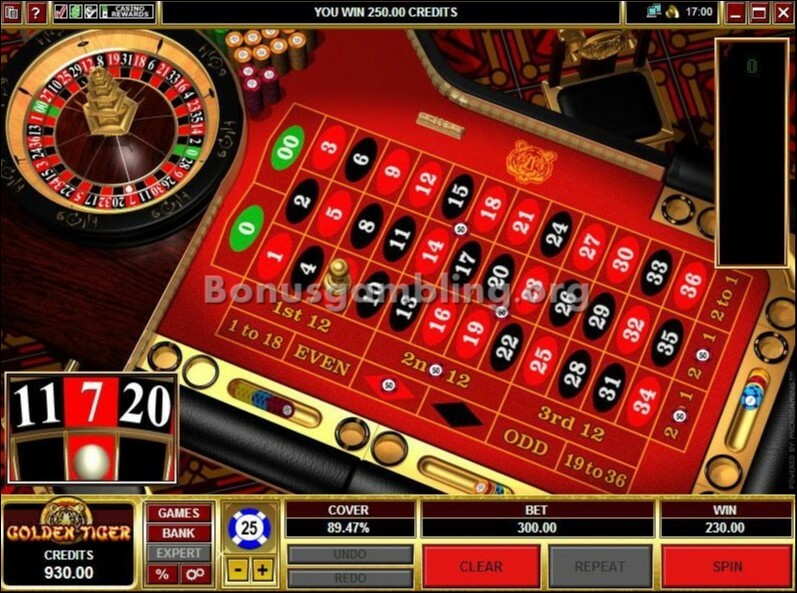 This casino has great looks and a superb array of games and promotions, all in a completely secure environment, which has made it a popular destination for online gambling enthusiasts across the world. 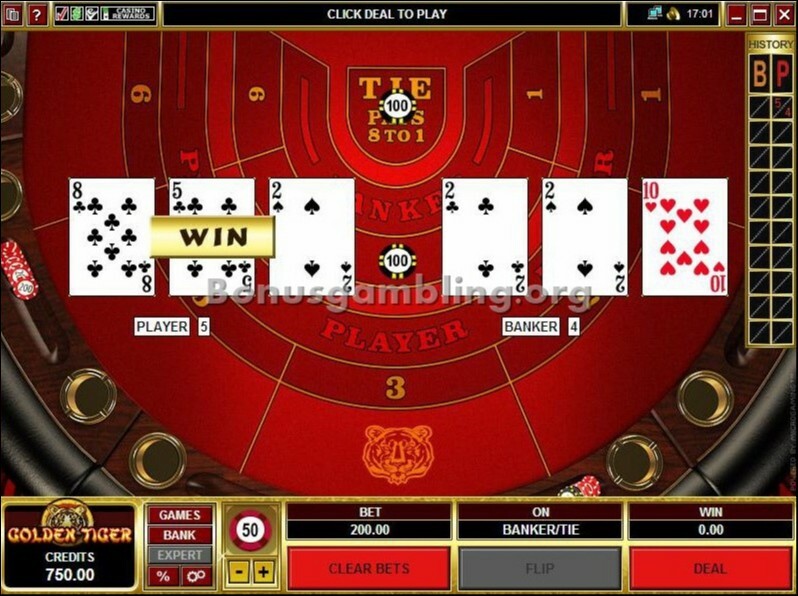 The casino is available in multiple languages and accepts multiple currencies. Golden Tiger casino has been around for more than five years now, and in this short period of time, it has gone from strength to strength. A member of the Interactive Gaming Council (IGC), this casino is also part of the Casino Rewards group. 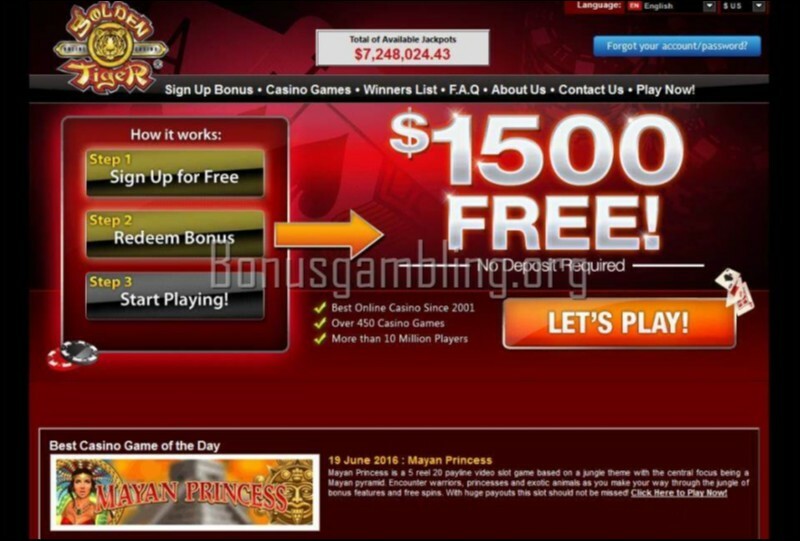 The exotic looking home page is backed up by an excellent layout that adds to the casino’s appeal. The casino is easily navigable and manages an uncluttered look despite the wealth of information on offer. 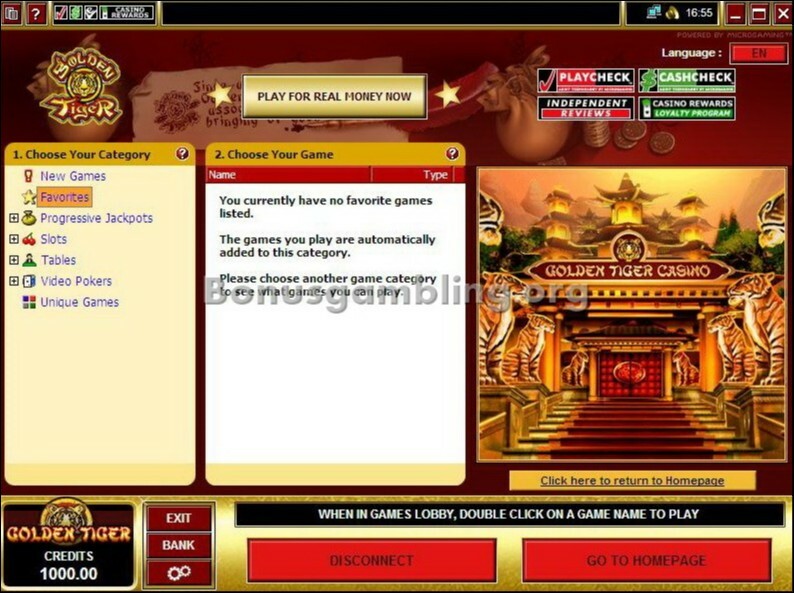 Golden Tiger is another casino that runs on Microgaming software. 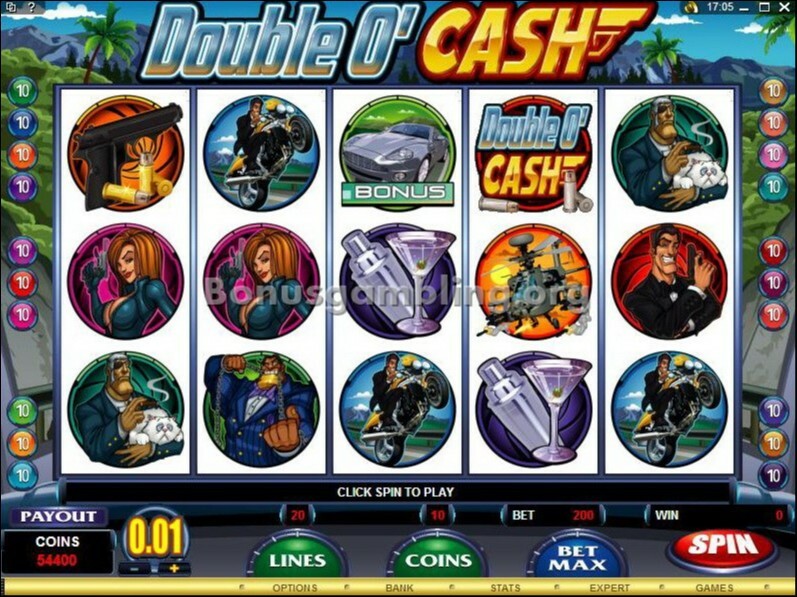 What this means is the casino is reliable and robust, with a number of cool features. You have to download the software to your computer to play at this casino. 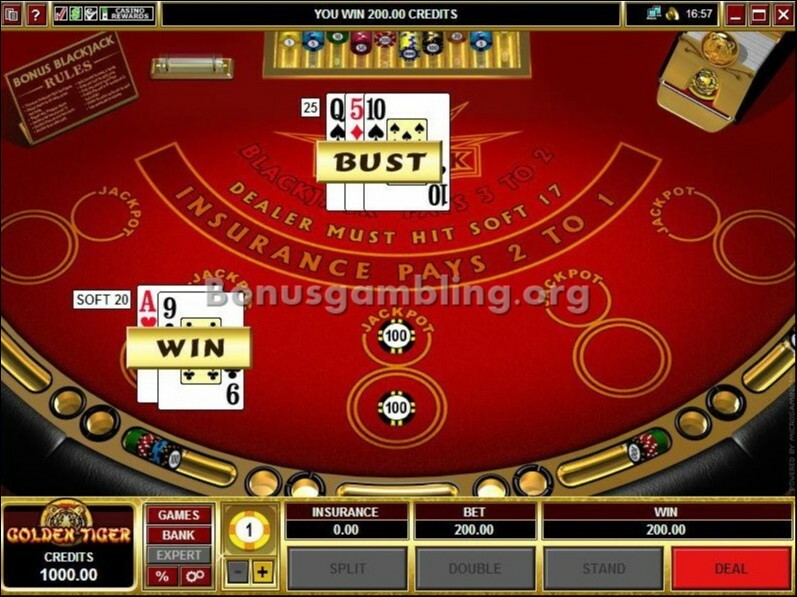 The casino software provides a range of impressive features, such as the ability to track hand and cash histories, multi-table play, multi-currency transactions, awesome graphics and animations, superb sound effects, and more. Like most other Microgaming-powered casinos, Golden Tiger too has a massive collection of games, some of the best in the business. 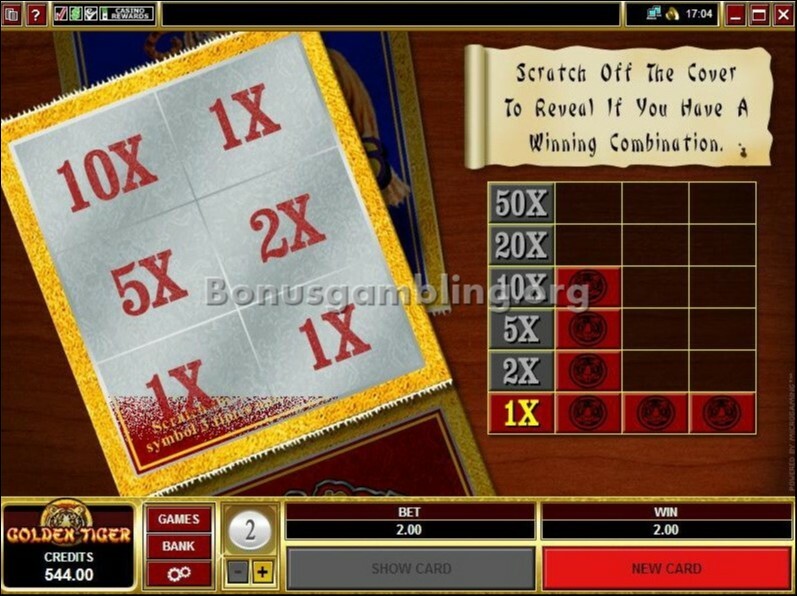 The casino has more than 353 scintillating games you can try out. It has table and card games, video poker, slots (video slots and classic slots), specialty games, and progressive jackpots. Golden Tiger casino, like other popular online casinos, offers excellent customer support in multiple languages. You can get in touch with a member of this casino’s customer support team 24x7 through telephone and e-mail. The casino also has a FAQ section that you can check out for answers to your queries. Like many other professionally managed casinos, the gambling authority that licenses and regulates it is the Kahnawake Gaming Commission, located in Canada. The casino also provides a completely secure gaming environment through the use of advanced technology like 128-bit SSL encryption. The casino also has a reputation for fair play, something that is reflected in the certificate it has received from eCOGRA for fairness and safety. Golden Tiger Casino also has a strict policy to prevent underage gambling, and does not allow players below 18 years of age to play the games available. Also, the casino does not accept players from the US. Golden Tiger Casino - hot looks and great games! I like online casinos that have that feel of excitement and fun about them, and that was immediately apparent at the Golden Tiger. This cool online casino, with its hot looks and great games and promotions was one place where I not only had fun but also won quite a bit. The Golden Tiger has been around for more than five years now, and has made rapid strides in this period of time. 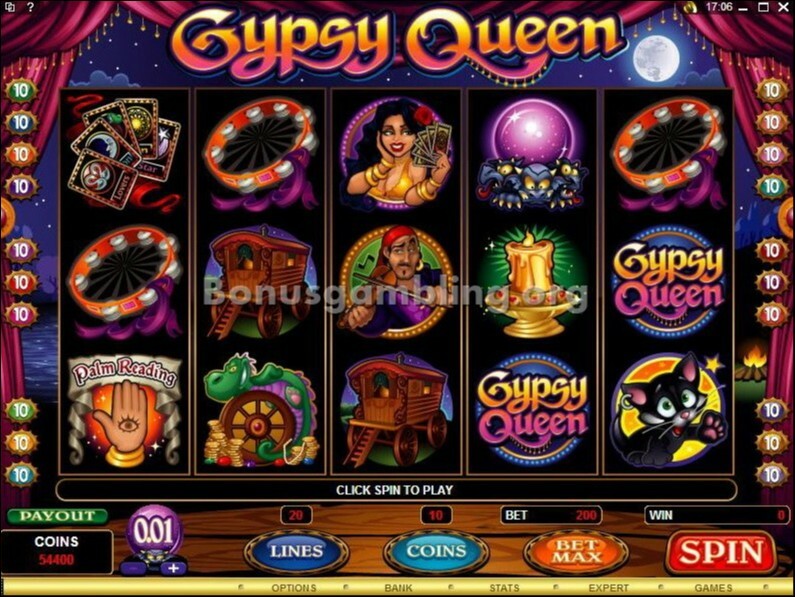 The casino’s looks and also the range of games have been primary drivers of its popularity. There are 353 games here, which means I was guaranteed freedom from boredom when playing here. The promotions at the Golden Tiger were cool too. I mean, that is a very mild term for a promotion that gives you $1,500 and 60 minutes in which to use it. What is more, I got to keep whatever I won, and that was a big plus for me. There were other promotions as well – a referral bonus, a loyalty bonus as part of the Casino Rewards loyalty program, and regular bonus updates in the casino’s newsletter. This was a place where I had a lot of fun, and I would definitely recommend you try it out too.